Metrorail riders facing a high percentage off-peak discount are motivated to delay their travel and save. 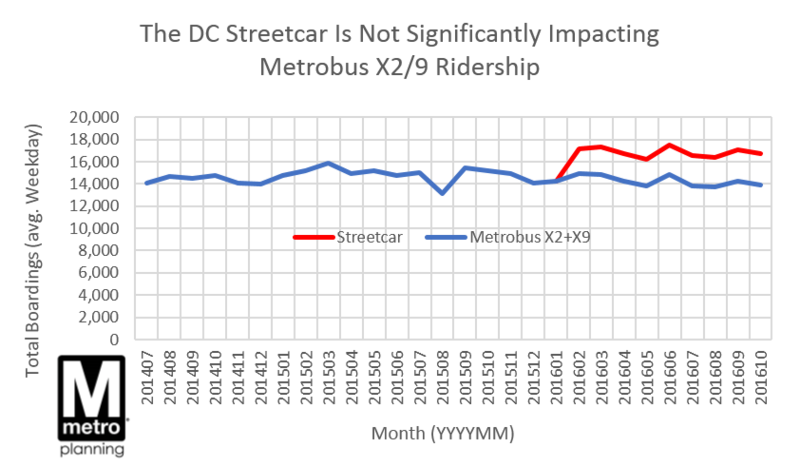 This post is guest-written by Sam Winward, a behavioral economist and Metrorail commuter who lives and works in the District. 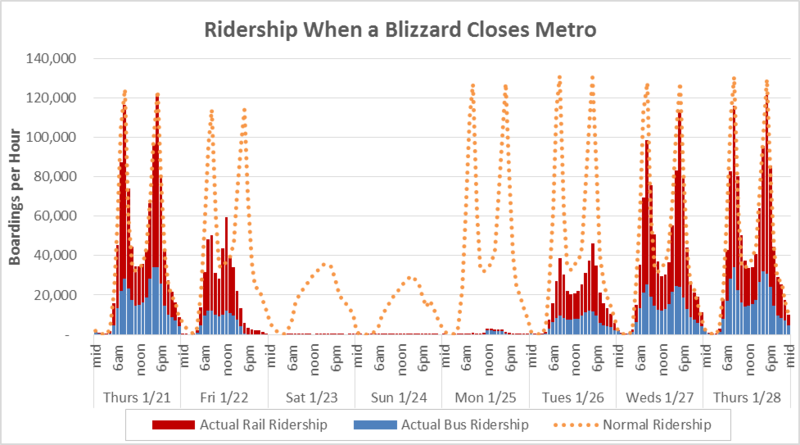 His analysis of Metro ridership patterns sheds light on the influence of off-peak pricing. If you’ve ever waited a few extra minutes before swiping through a Metrorail faregate to qualify for the off-peak fare, you’re not alone. Within the afternoon peak / off-peak cusp period, when riders may be somewhat time flexible, Metrorail data from April – May 2015 confirms that some riders are delaying entry for savings. What riders probably don’t know, is that their off-peak pricing discount could be substantially different from the riders around them. In fact, off-peak percent discounts can range from a 19% to 40% reduction of peak fares. Given the varying degree of off-peak incentive, riders are responding as we’d expect when weighing their opportunity cost of time. 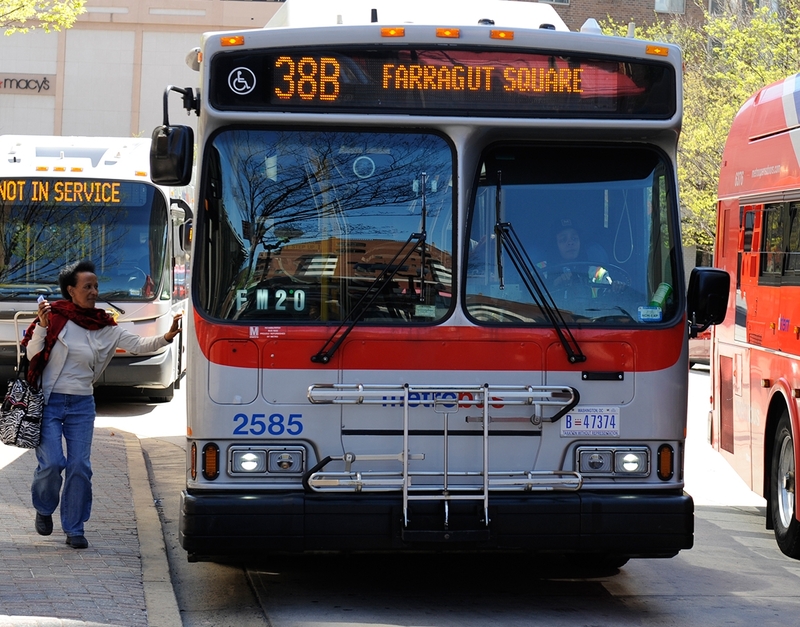 As percent savings increase, riders are more likely to delay travel for off-peak fares. 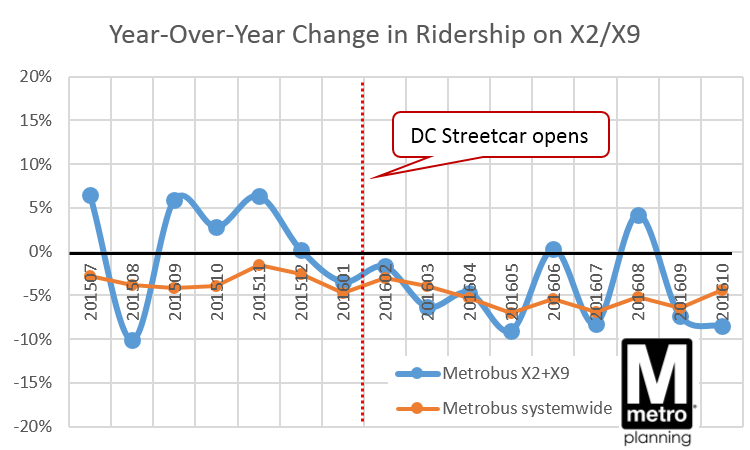 The graph below, derived from WMATA data, displays this ridership tendency. Note the ridership uptick just after 7 pm. This runs counter to the natural pattern of declining ridership over this period, and the uptick steepens as the percent discount facing riders increases. 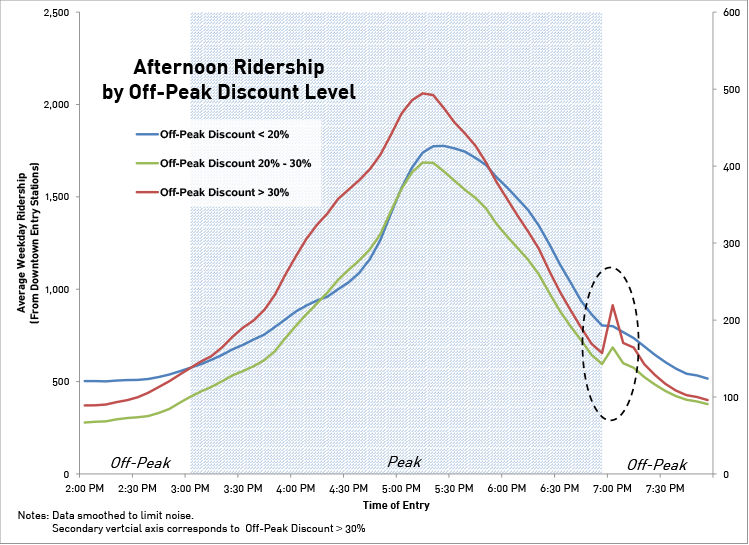 So why is there so much variation in off-peak discounts, and who are the lucky riders allowed large savings? Particular trips, based on mileage between origin / destination stations, are subject to off-peak fare “caps.” WMATA introduced the caps in 2012 when off-peak fares switched to incremental fee-per-mile pricing. Off-peak fares for trips of just under 7 and 10 miles were capped, as these trip distances would have otherwise seen very large increases between the old and new fare structure. A maximum off-peak fare cap of $3.60 was also implemented, affecting riders with trips lengths greater than 11 miles. The effects of these fare caps remain in the system today, and are not mirrored in peak fares. 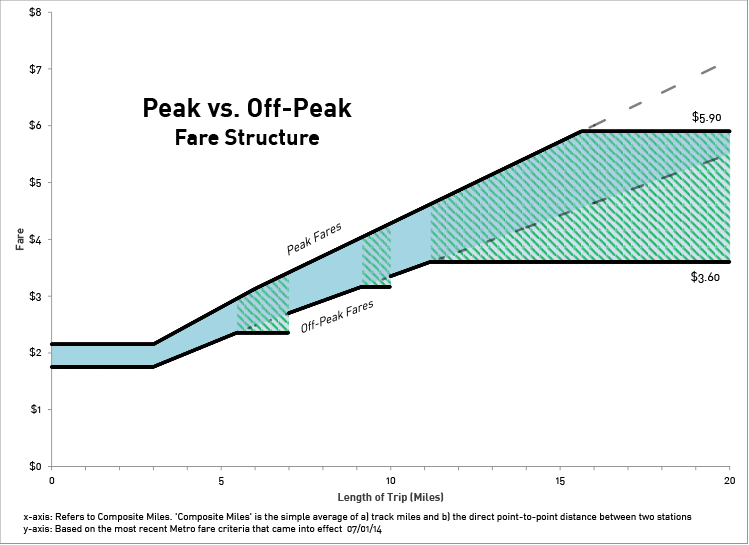 As displayed below, the gap between peak and off-peak fares increases over regions subject to off-peak fare caps. This makes off-peak travel more enticing for riders’ whose trip length falls within a green zone. Notably, small tweaks in the fare structure have large behavioral effects. Even if you decide that added off-peak savings aren’t worth the wait, at least your decision can be informed. To see the off-peak discount applicable to your route, and how it compares to the rest, check out the interactive off-peak discount calculator on my website. The full story, including the off-peak discount calculator and a formal analysis of the delayed ridership patterns, can be found at Sam’s site. To help the region and our partners plan alternatives and mitigate the impacts of SafeTrack, Metro releases rail ridership data applicable to this important maintenance effort. Rail Link Volumes: This data describes the number of customers on board trains between two contiguous stations, for a given hour of the day, then assigned to rail links. 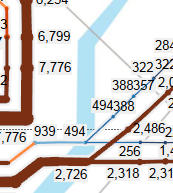 For example, the link volume from Bethesda to Friendship Heights is the sum of everyone who boarded upstream, minus those who exited at or before Bethesda. This can be useful for planning SafeTrack mitigation efforts because it gives a first-order estimate of the potential demand for a bus bridge, for example. 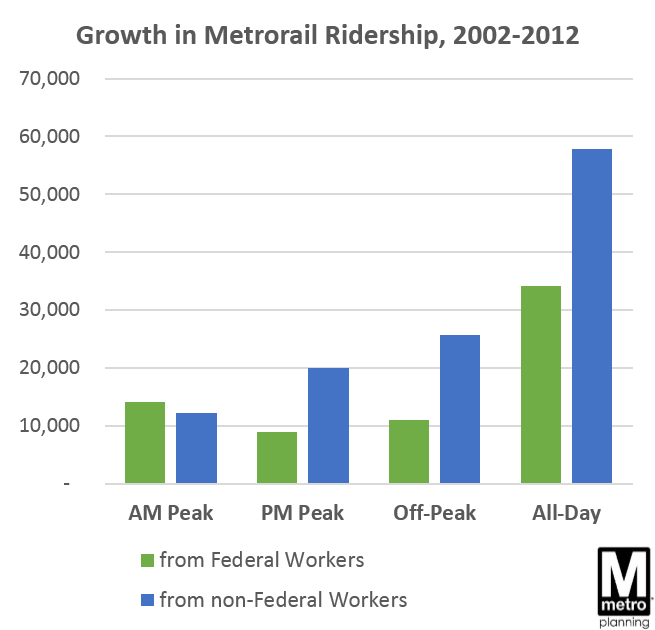 Between 2002 and 2012, rail ridership from federal employees has grown 15%, the same as from non-federal riders. (N.B. 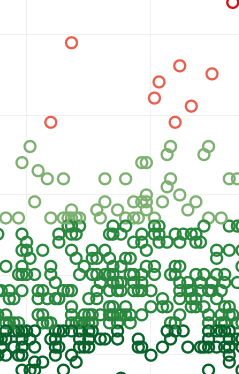 this post focuses on rail only; no comparable survey data for bus is available.) Federal employees have remained about a third of total ridership, as overall ridership ebbed and flowed. Most of these new federal riders live in the inner jurisdictions of D.C., Arlington, and Alexandria – ridership from federal employees has been much slower in the outer jurisdictions, particularly Fairfax County (growing at 5-15%, vs. 25-40% over ten years). The growth from federal riders has mimicked existing riders – they are focused on the peak commute too, with a moderate amount of off-peak travel as well.